The light conditions of just 6-7 knots proved testing for tacticians among the TP52 fleet in today's windward leeward practice race on Marseille’s Rade Sud. 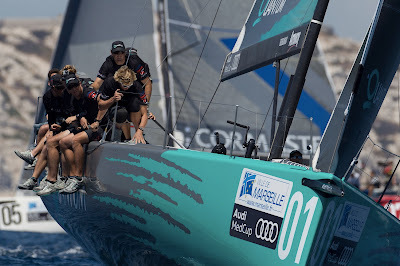 Quantum Racing finished a close second today behind the Italian's on Audi Azzurra Sailing Team who lead from the first turning mark thanks to the combined tactical efforts of Vasco Vascotto and Francesco Bruni. 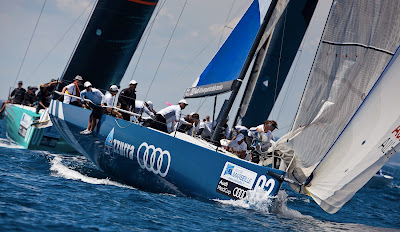 The Italian team took advantage of the extra wind pressure on the right to lead Quantum Racing down the first run. The two teams stayed close on the run but the Italians were able to break away. 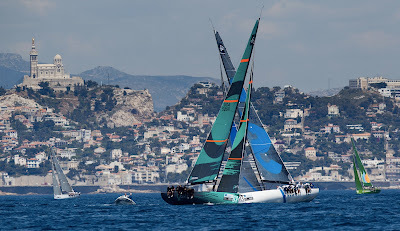 For six of the new TP52 yachts launched this season today was the first time they have competed together in the light to moderate sea-breezes expected here. The speed differentials between the new boats was marginal. 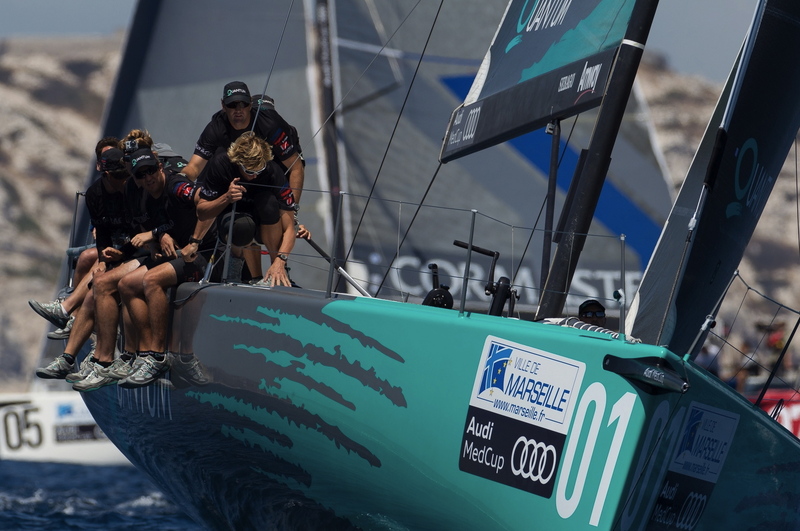 The lighter wind ranges on the Marseille race track should challenge tacticians and strategists this week. On the Rade Sud, the Frioul Islands exert an influence on the right hand side of the course upwind and the high, bluff limestone mountains to left including Mont Rose should mix up the thermal breezes. The speed differentials between the mainly new boats was marginal. 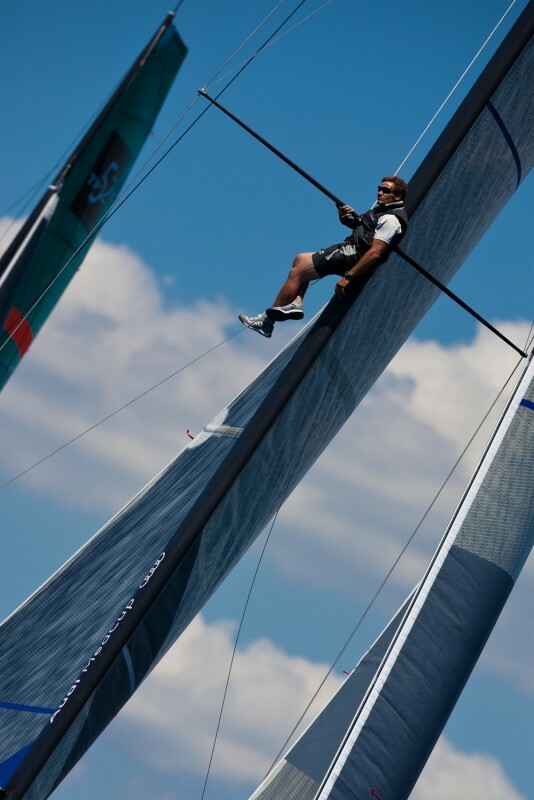 Newcomers to the fleet, the British owned and crewed Gladiator, steered by owner Tony Langley, started well and was third and fourth until the final run when they lost out to Synergy (RUS) and Container (GER) in the final metres. 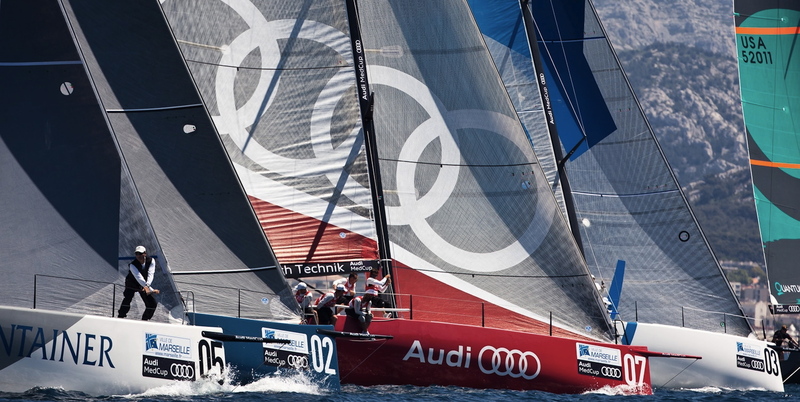 Racing commences for points tomorrow with the 52 Series lining up for two scheduled windward-leeward races.